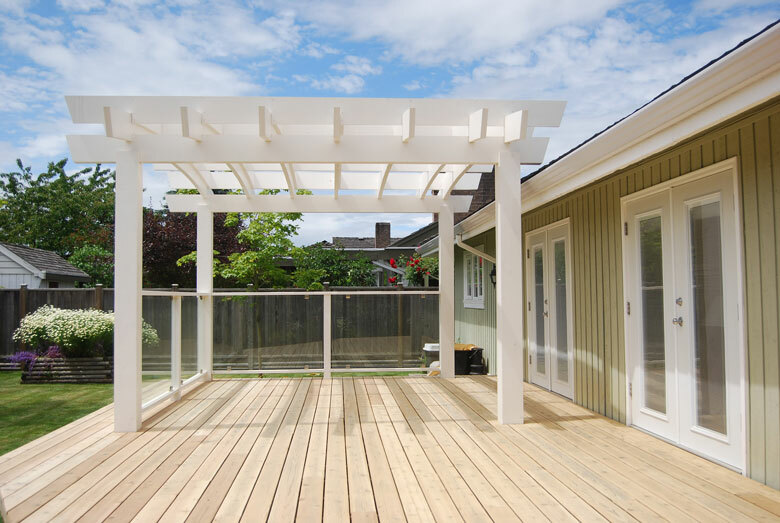 The construction of the pergola was the second phase of the clients desired outdoor living space. The deck was built five years previous to this photo and was completely sanded down as part of this phase. The Indoor Outdoor Guy went through a detailed design process with the client to help the client choose the design she envisioned. Our design department, based on the client’s initial input and requirements prepared four different designs, of which the client selected one that was further customized. 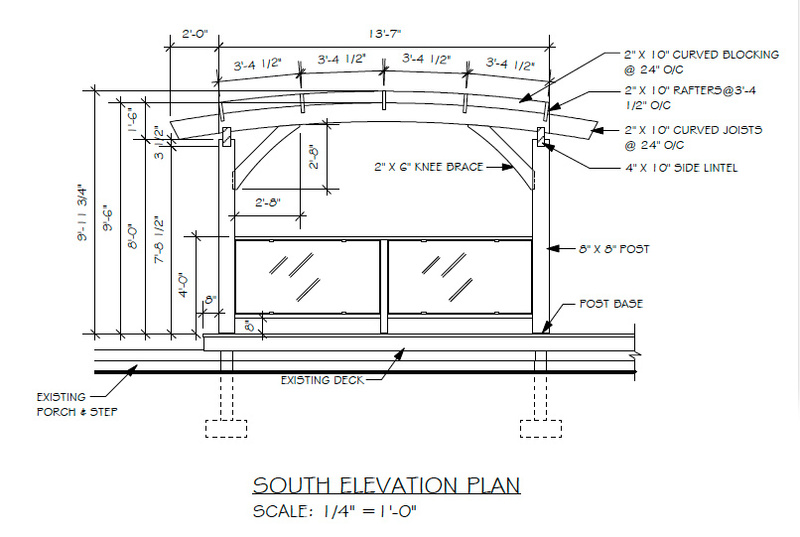 The design of the pergola features Japanese arches and an interlocking timber frame design. 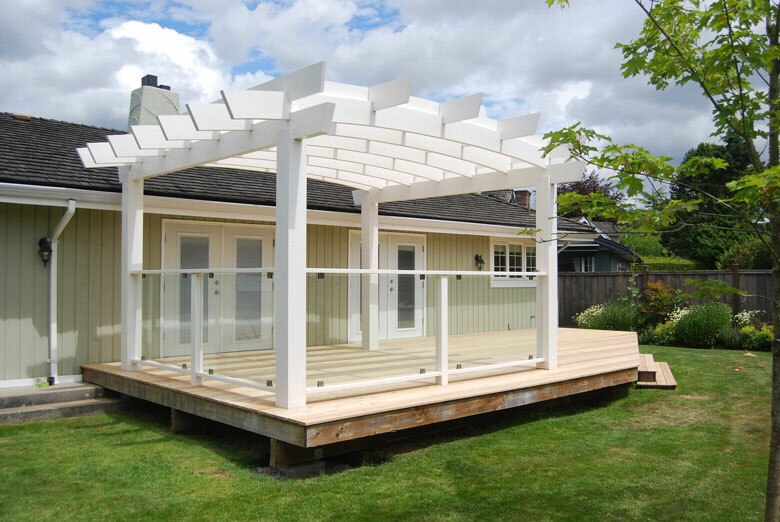 The pergola was built out of solid cedar and painted white to match the trim details on the house. Glass was added to two sides of the pergola to provide a windbreak in the fall and spring. The pergola was also designed to shade the living room in the home from the southern exposure, as well as providing a shaded outdoor space.